Mummy Of 3 Diaries: Great Gizmos celebrates new kids gifts website with 10% off voucher and free shipping on orders over £10! 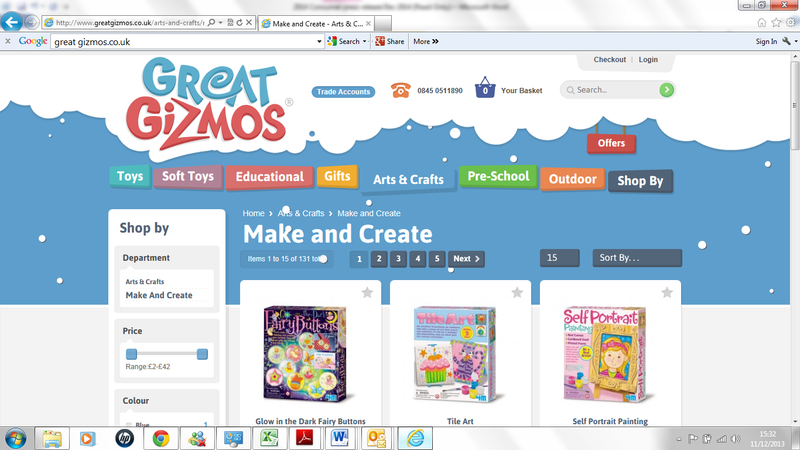 Great Gizmos celebrates new kids gifts website with 10% off voucher and free shipping on orders over £10! If you're looking for an art and craft project, baby’s first toy or a cool outdoor gadget, Great Gizmos has it all and offer free shipping with any order over £10. In addition, there is even a 10% off voucher for first time users (valid until 31st January 2014) so you can save money this Christmas – just enter CPR10 at the checkout for extra savings! This site is packed full of ideas and really easy to navigate. Order now and you'll be well in time for Christmas!